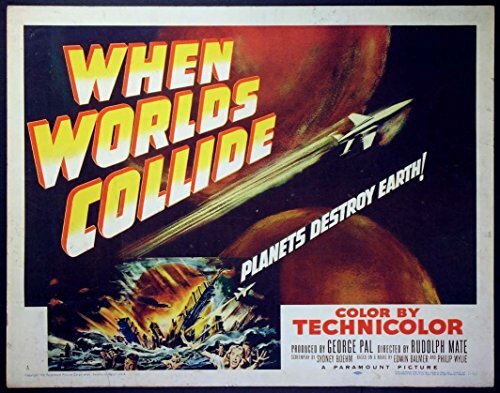 ITEM :Original U.S. Half-sheet (22 x 28 inch) Movie Posterfrom the 1951 Rudolph Mate Sci-Fi film “When Worlds Collide” featuring specialeffects by George Pal. This is the Style A half-sheet. CONDITION : This poster is rolled and has never been folded. There is edgewear including several small nicks in the borders, crimping in the image, and alight to moderate diagonal crease in the lower left image area. Condition isVery Good to Fine and rolled. As collectors ourselves, we pack every item to arrive undamaged.